Cut down the need for paper through our paperless application system, with electronic processing of your application, lease signing, rent payments, and maintenance requests to save on time and resources. Our bike share program and electric car charging stations let you travel around the neighborhood to your work or the nearby shopping and entertainment venues for you and your friends to enjoy, while cutting back on gas emissions and costs. Sort out your plastics, paper, and aluminum to be recycled through our convenient recycling program. Keep your home at the ideal temperature all year long without overusing electricity with the high-tech NEST thermostats – programmable even when you’re away from home from your smartphone – and our low-e windows installed in every apartment. 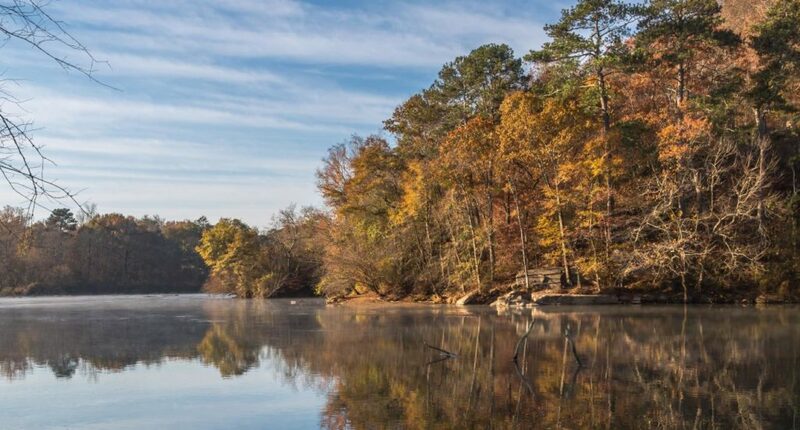 Take a walk through the beautiful nature trails right by our community, with the best scenic views and foliage of Georgia, and breathe in the fresh air in our smoke-free community. Finally, all the appliances in our community and apartments are Energy Star certified, meaning they use the least amount of electricity and water to chill your meals to perfection. Save the world right from the comfort of home at Alexan North Station. Check out our green luxury apartment community in Sandy Springs today.